It has been a long time goal for Friends of the Rappahannock to include more girls in recreation events. During summer months, the Friends of the Rappahannock/Virginia Outdoors Center nature preserve is often occupied by boy scouts and eagle scouts, leaving little room for the girls to experience nature as they do. 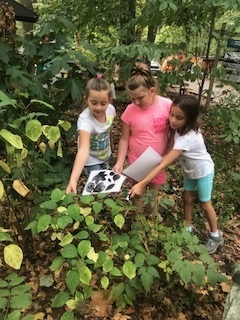 With help from the Women and Girls Fund, we created a pilot program to encourage a diverse group of brownies, juniors, and cadets from the Fredericksburg Girl Scout region to experience our nature reserve through eyes of a citizen scientist. 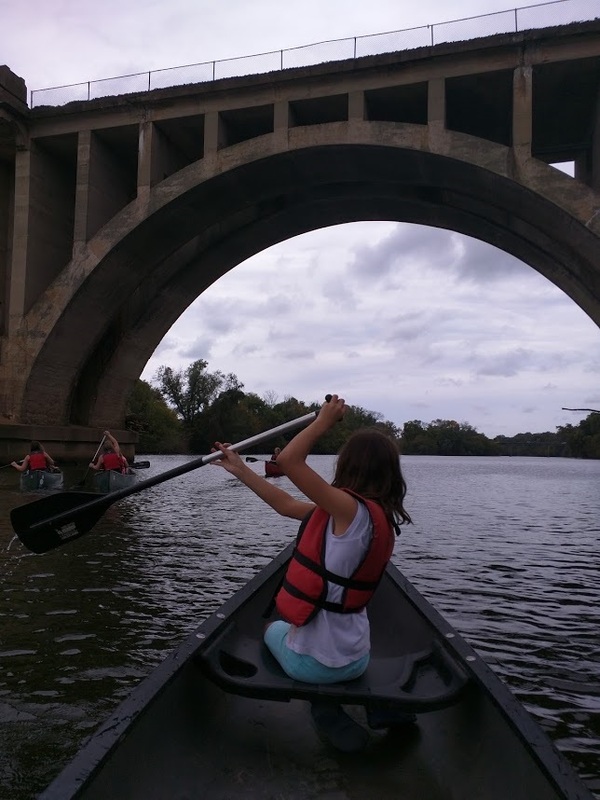 The goal of this education program was to give young girls an opportunity to experience a preserved riparian habitat by doing a variety of activities and connecting this to the overall protection of their own, local Rappahannock River watershed. We had a total 36 Girl Scouts from various troupes in the Fredericksburg region, ages 7-12, and 12 moms attend this event, which we called “Girl Scout Journey in a Weekend.” Girl Scout Journeys require that girls earn three consecutive badges–and in our case the girls learned to discover, connect, and take action as “citizen scientists”. In learning to become citizen scientists, the girls made careful observations in their own hand-made nature journals. They reflected on activities throughout the day in this nature journal. They collected data and answered questions such as how many macroinvertebrate they collected in the river, what kind of trees like to be near water, how does water move, and where organisms, such as insects like to live in a forest. Once they collected this data the girls discussed ways to sustainably use water and protect the Rappahannock River watershed. The girls took action by planting native plants near the river to slow down water flow from eroding the banks. They also took home a “take action postcard” about ways they can save water at home. One girl, Reese, wrote back to us “Thank you for teaching me about the river.” She also noted that she would pick up after her dog, choose environmentally healthy cleaning products, and plant a tree. It is great that these girls were able identify a relative problem, such as water quality, and then find a creative and sustainable solution to the issue. In addition to completing the journey, the girls also had the option to camp out overnight. Two troupes, a total of 20 girls, camped overnight. 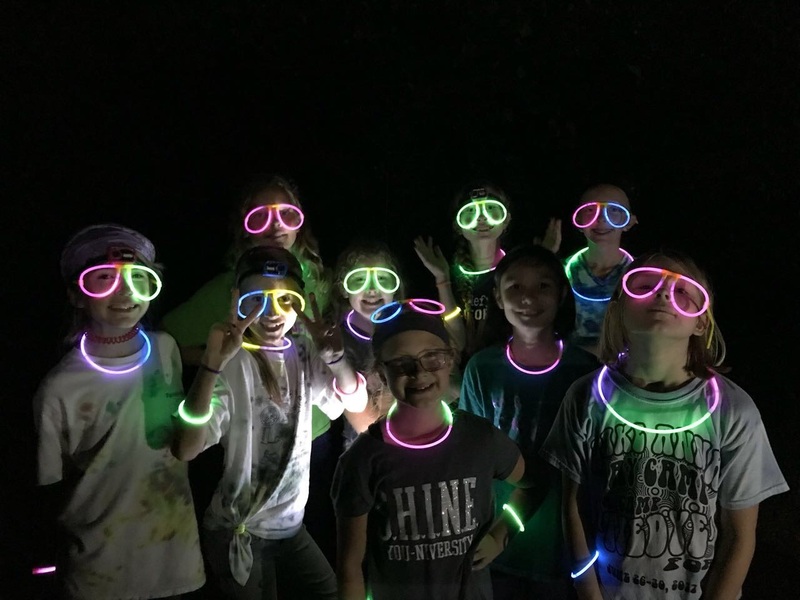 They worked together cooking dinner over a campfire, setting up their 10 and 14-person tents, and even shared glow-sticks for a nighttime glow hike. One of the best parts of the weekend was teaching the girls how to canoe in the Rappahannock River. The majority had never even been in a boat before, so being able to provide this experience definitely added a thrilling twist to the journey as citizen scientists. Reese and her friend Riley had a hard time figuring out how to paddle a canoe together. They started off zig-zagging across the river instead of going straight. Instead of getting frustrated, they kept at it and learned to communicate with each other in the boat. By the end of the paddle they were passing everyone and having a great time! Overall, it was great to have our nature preserve filled with girls camping, canoeing, and enjoying the same outdoor and recreational activities as the boy scouts who visit us. This pilot program was a great success in seeing more girls on our property, enjoying and experiencing outdoor adventures. We plan to continue this program next year!